In the last decade, the early modern Low Countries have constituted a hotbed for historical narratives which bring the rise of the modern sciences, early forms of capitalism and political liberty under one analytical umbrella. The two edited volumes which form part of a book series on the circulation of natural knowledge follow this broader historiographical trend. Similar to Harold Cook's Matters of exchange, published in 2007, both books richly illustrate how an elite of merchants engaged in overseas trade, publishers, grocers, consumers, plant experts, and apothecaries tacitly shaped a new experimental philosophy whose values were grounded in the rational exchange and management of luxury goods, exotic plants and texts near the harbors of Amsterdam and Antwerp. What distinguishes the two volumes is their specific conceptual approach. 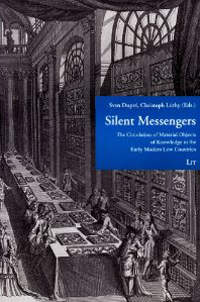 While the volume Silent messengers, edited by Sven Dupré (Max Planck Institute and Free University Berlin) and Christoph Lüthy (University of Nijmegen), approaches the production of 'objective' knowledge through the lens of material circulation, the two editors of the volume Translating knowledge in the early modern Low Countries shift the analytical focus to historical practices and networks of translation. 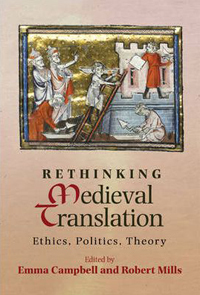 Owing to its broad definition of 'translation', the latter volume opens an analytical frame which allows to transcend language as sole locus where knowledge production took place. 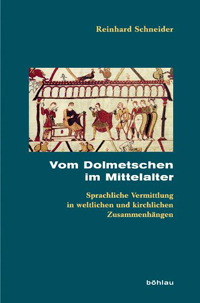 Both approaches provide the basis for a rich tableau of case studies written by historians from Belgium, the UK, France, the Netherlands, Spain, Italy, Germany, and the US. All contributions are accompanied by carefully selected illustrations of book frontispieces, drawings and objects. In their individual essays, most contributors simply use 'material circulation' and 'translation' as heuristic tool to unravel the intellectual labor and skills to produce knowledge and commercially viable artefacts in the early modern Low Countries. By examining the career of two Dutch university professors, Govard Bidloo (1649-1713) and Frederik Ruysch (1683-1731), Dániel Marcógcsy, for instance, argues that the social status of early modern anatomists heavily depended on their ability to manufacture costly anatomical curiosities, albeit in the form of paper atlases or material preparations. Michiel van Groesen's contribution demonstrates how the Flemish publishers and engravers Theodore de Bry (1527/28-1598) and Johan Theodore de Bry (1563-1623) used the multilinguism and societal status of translators as tool to ascribe scientific and economic value to a variety of book products. While most contributions stay within the conceptual framework which the editors of both volumes have outlined in their introduction, some authors travel an alternative path. Koen Vermeir's essay on the circulation and appropriation of 'divining rods' is a good example. Instead of simply rooting the quest for 'objectivity' in the commercial elite of Antwerp and Amsterdam, his essay shows how a broad array of empirical practitioners and literati throughout Europe appropriated divining rods as vehicles to improve public education, protect the reputation of friends and family, and fight superstition. His contribution thus serves as a caveat to consider the early modern Low Countries' and its merchant elite as main driver in the rise of what later became known as modern science. The essays by Fokko Jan Dijksterhuis, Felicity Henderson, and Mariá Luz López Terrada argue in a similar vain. By providing an in-depth examination of the travels of Jacobus Golius (1596-1667) to the Levant, Dijksterhuis stresses the polycentric origin of early modern mathematical practice. The same is true for Mariá Luz López Terrada's essay which presents Carolus Clusius (1526-1609) as someone whose botanical networks and expertise were rooted in the political reality of the Spanish Empire. Felicity Henderson eventually offers a fascinating insight into how the translation of Anthoni van Leeuwenhoek's letters (1632-1723) from Dutch into English gradually transformed the Royal Society in London into a fact-producing institution. Taken together, readers of both volumes can expect a mix of rich and well-written case studies on scientific knowledge production in the early modern Low Countries. 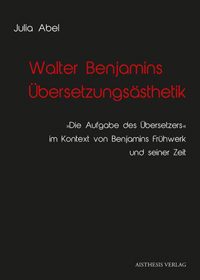 A point of criticism is that both volumes lack a concluding section which brings the empirical work in conversation with the concepts 'material circulation' and 'translation'. Harold Cook's remarks at the end of the Silent messenger remain on a too general level. This is unfortunate, since essays in both volumes offer a glimpse on a polycentric and historically open landscape of fact-production which a too narrow focus on the world of commerce and translation in Antwerp and Amsterdam and its values conceals. 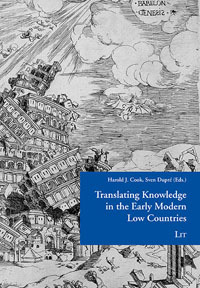 Or put differently: the contributions of both volumes are an invitation to work towards a diversified history of knowledge production in which linkages to localities outside the early modern Low Countries are seriously taken into account.